Windows Cleaned Today are family run window cleaners established in 1995. We are renowned for our prompt and reliable service to our customers in the North East of England. All of our window cleaners are fully insured and we offer a 100% money back guarantee, meaning our customers will always have peace of mind. All window cleaning prices include cleaning frames and sills. We carry out any work, commercial or residential, either contract or one off cleans. 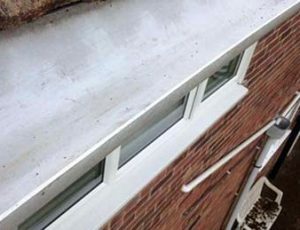 Windows Cleaned Today specialises in traditional and water fed pole window cleaning, as well as solar panel cleaning, UPVC frames, gutters, drains, sills and soffits and conservatories. We also offer a professional power washing service for commercial and domestic customers. 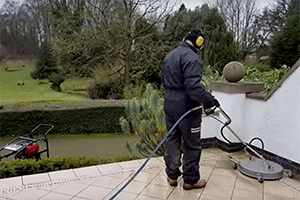 We are experienced in jet washing all kinds of surfaces large and small, including paving and decking/timber. 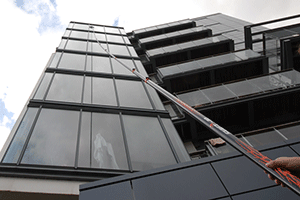 We are commercial window cleaners for offices and businesses in Darlington and the North East. We are affordably priced either on a contract or one-off basis. 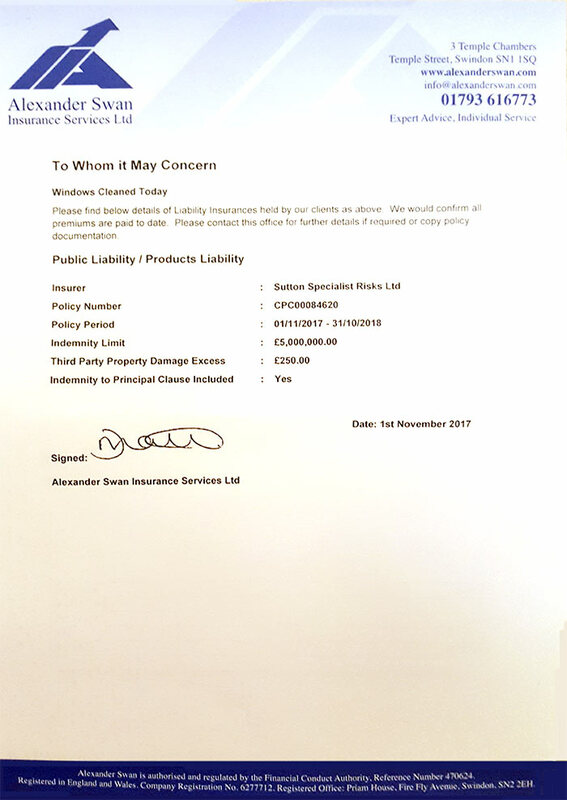 With liability insurance up to £5million (see certificate) and a wealth of experience and expertise in cleaning all sorts of glass in difficult to reach places without causing damage. We are happy to provide references. For residential properties, we offer a reliable service for home owners and landlords. Our long reach poles can reach top floors of town houses, 2nd or 3rd floor flats and other hard to reach windows and conservatories. We provide a regular service or one-off cleans. Based in Darlington, we cover all areas of the North East. We provide professional and tidy power washing/jet washing to commercial and domestic customers in Darlington and the North East. With our heavy duty equipment we clean your decking, drive, path or any hard surface without a fuss – improving the grip and appearance of wood, concrete and stone. 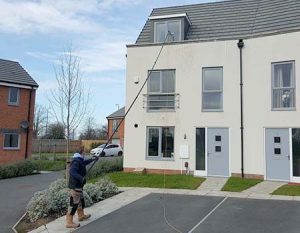 In addition to traditional methods, our window cleaners use Ionic’s Reach and Wash™ system – the most up to date window cleaning equipment available today. Our staff are fully trained and able to reach even the most difficult places with our 20m long-reach poles. The system uses purified water and leaves you with no smears, no residue, no fuss. Just perfectly clean windows. 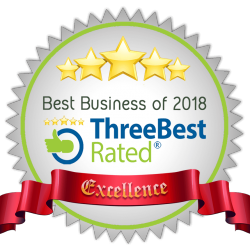 Darlington’s Number One Window Cleaners Don’t just take our word for it. 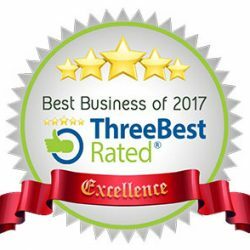 Read our reviews to find out why our customers think we are number one in Darlington! We accept payment with our secure mobile credit and debit card reader, cash, cheque and Bank Transfer. 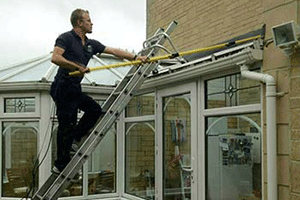 We take our trade very seriously – we are fully trained, accredited and insured to give you complete peace of mind.